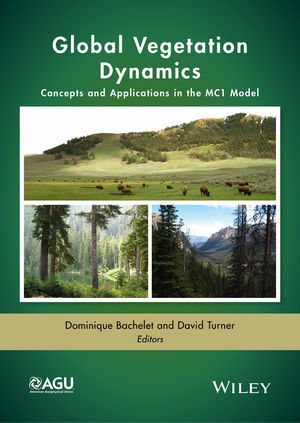 Global Vegetation Dynamics: Concepts and Applications in MC1 model describes the creation in the mid 1990s, architecture, uses, and limitations of the MC1 dynamic global vegetation model (DGVM) that is being used by an increasing number of research groups around the world. The scientific foundation of most models is often poorly documented and difficult to access, and a centralized source of information for MC1, including the complete list of over eighty papers and reports with MC1 results will be useful to scientists and users who want to better understand the model and the output it generates. Global Vegetation Dynamics: Concepts and Applications in MC1 model will be a valuable resource for students and researchers in the fields of climate change science, conservation science, biogeochemistry and ecology, as well as for land managers looking for a better understanding of the projections of climate change impacts and of the tools that have been developed to produce them.